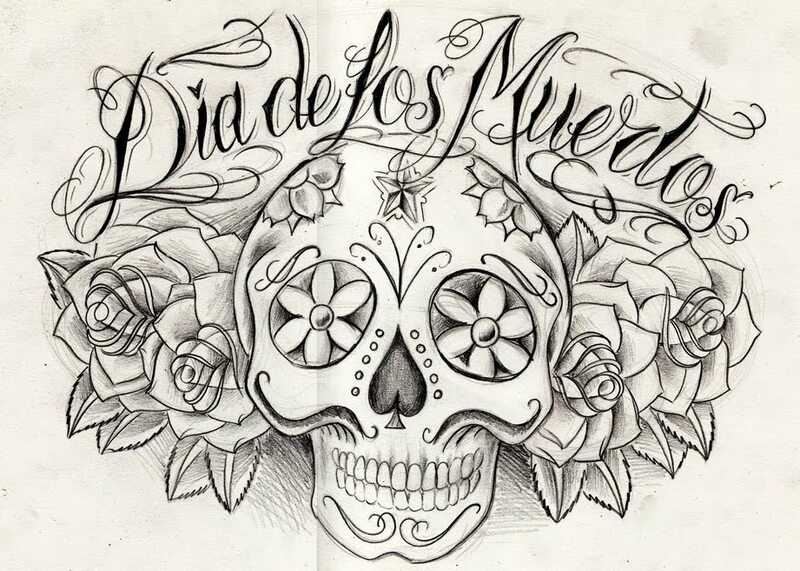 I Skate, Therefore I Am: Feliz Día de los Muertos, Happy Calavera day!! 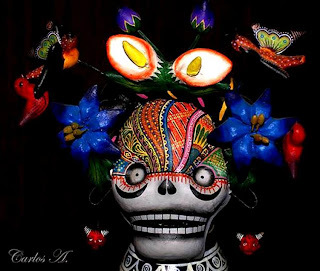 Feliz Día de los Muertos, Happy Calavera day!! 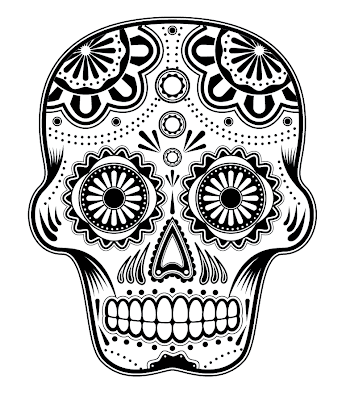 The word calavera (pronounced: [kalaˈβeɾa], Spanish for "skull") can refer to a number of cultural phenomena associated with the Mexican celebration of the Day of the Dead and the Roman Catholic holiday All Souls Day. - Calaveras de azúcar ("sugar skulls") are used to adorn altars and can be eaten. 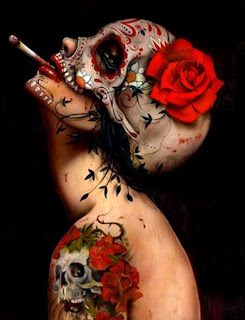 calaveras literarias are poems, written for the Day of the Dead but intended to humorously criticize the living. 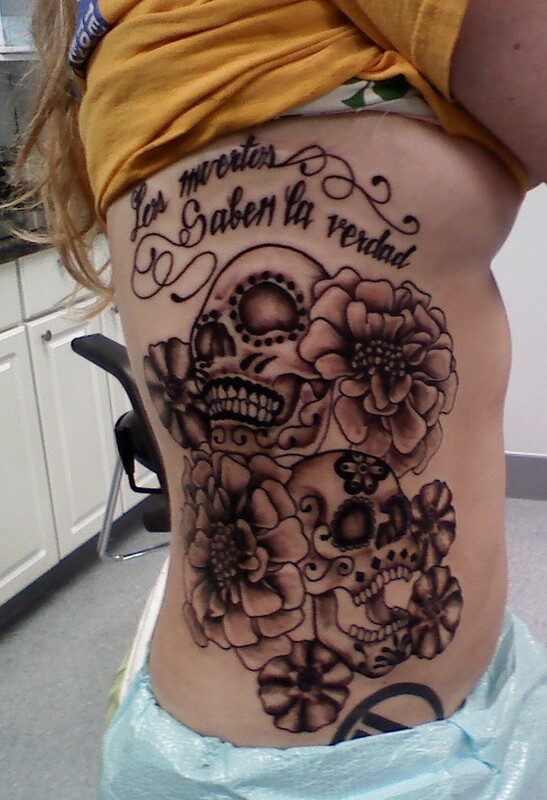 - Calavera can refer to any artistic representations of skulls, such as the lithographs of José Guadalupe Posada. 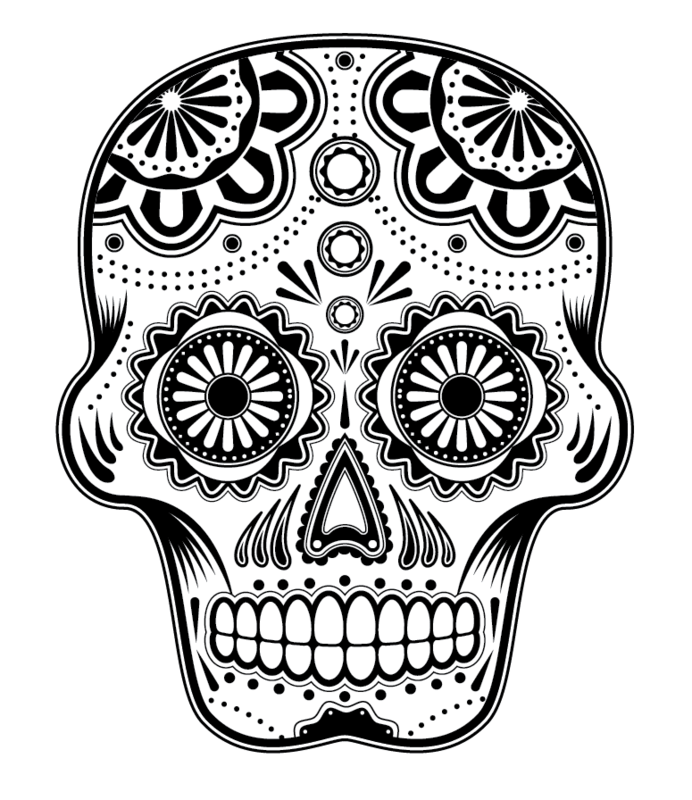 - Cervecería Calavera is also the name of a newly started craft brewery in Mexico City. The caleaveras have been part of skateboarding ever since the Bones Brigade who popularized the skull and the ripper in the early 80’s. But even before that, the Mexican influences helped construct the Dogtown imageries. 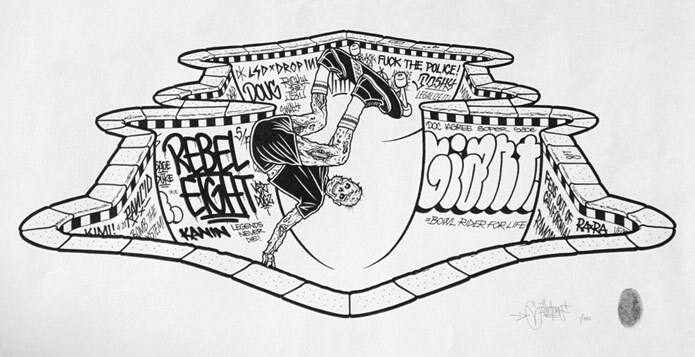 No wonder: Ray Bone Rodriguez, Jesse Martinez, Steve Alba, Micke Alba, Eddie Elguera, Tony Alva, Stacy Peralta, Steve caballero and a big part of the Dogtown skaters all have roots in Mexico and the Mexican cholos and pachucos have influenced everything in southern California from Low Riders to skateboarders. 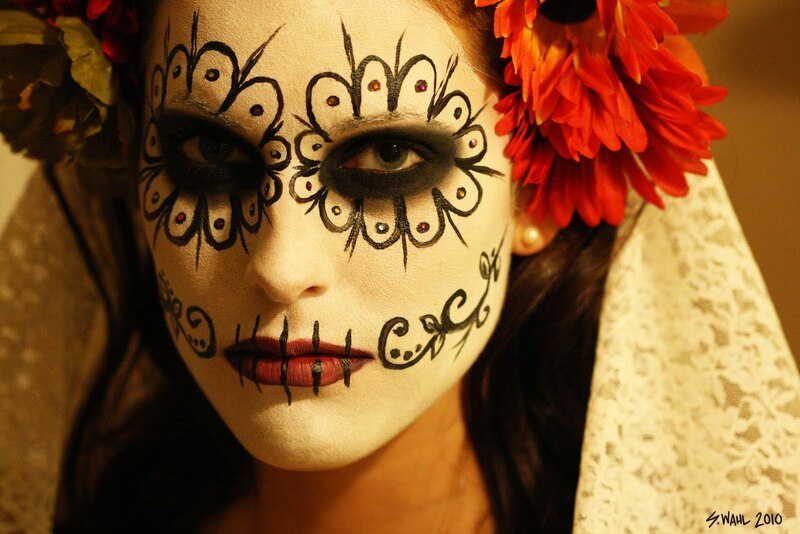 The Calavera day (in Spanish: Día de los Muertos) is a Mexican holiday celebrated throughout Mexico and around the world in other cultures. The holiday focuses on gatherings of family and friends to pray for and remember friends and family members who have died. It is particularly celebrated in Mexico, where it is a national holiday, and all banks are closed. 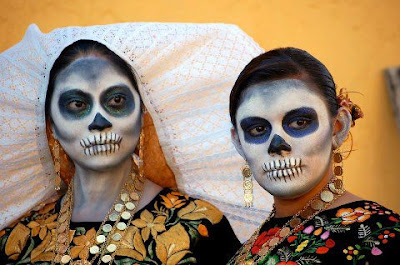 The celebration takes place on November 1 and 2, in connection with the Catholic holidays of All Saints' Day and All Souls' Day. 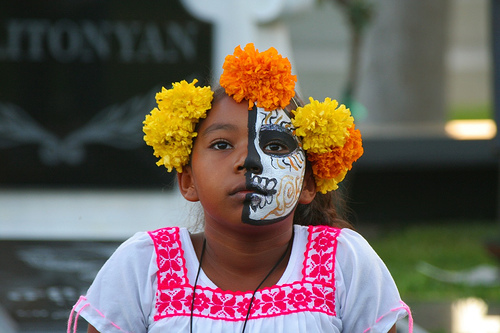 Traditions connected with the holiday include building private altars honoring the deceased using sugar skulls, marigolds, and the favorite foods and beverages of the departed and visiting graves with these as gifts. They also leave possessions of the deceased. Scholars trace the origins of the modern Mexican holiday to indigenous observances dating back hundreds of years and to an Aztec festival dedicated to the goddess Mictecacihuatl. The holiday has spread throughout the world: In Brazil, Dia de Finados is a public holiday that many Brazilians celebrate by visiting cemeteries and churches. In Spain, there are festivals and parades, and, at the end of the day, people gather at cemeteries and pray for their dead loved ones. Similar observances occur elsewhere in Europe, and similarly themed celebrations appear in many Asian and African cultures. 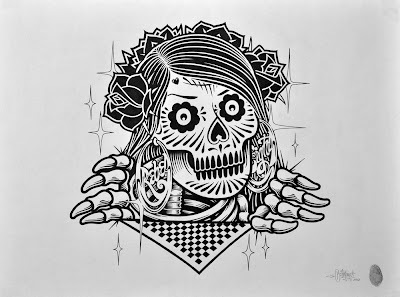 San Francisco based Mike Giant has achieved fame as a graffiti artist, illustrator and tattooist. Black ink is Giant's specialty and whether his medium is concrete, paper or skin, his signature style - inspired by Mexican folk art and Japanese illustration - is unmistakable. Mike Giant is one of the most celebrated and versatile artists of his generation.